ULAANBAATAR Oct 7 (Reuters) - Rio Tinto is waiting for word on the Mongolian government's efforts to attract investment for railway and power infrastructure projects that will boost the global miner's Oyu Tolgoi copper-gold mine, Chief Executive Jean-Sebastien Jacques said. The land-locked country sits on vast, untapped mineral wealth but inadequate transportation infrastructure has held back development, with several proposed railway projects to ship copper, coal and gold to China long out of reach because of prohibitive costs and arguments over security. "We're looking very carefully at the situation about railways because we have a vested interest," Jacques told Reuters on Thursday. Jacques said he was also looking at the development of a new power source at Mongolia's Tavan Tolgoi coal mine that will replace energy imported from China. The country is mired in debt following a slump in its chief export commodities coal and copper, a drop in foreign investment and a declining currency, forcing the government to hike interest rates and slash spending. One source of foreign investment will be the $5 billion Rio Tinto will spend over the next five years digging tunnels to access the bulk of the copper and gold at Oyu Tolgoi, and will expand the mine life to 75 years, Jacques said after returning from a tour of the mine for Rio's board of directors. Oyu Tolgoi is a flagship for foreign direct investment (FDI) in Mongolia, Jacques said. "If Oyu Tolgoi doesn't work, there won't be further FDI," he added. The launch of Oyu Tolgoi in 2009 helped kick-start a mining-driven economic boom in Mongolia. But Rio put the project on ice in 2013 after Mongolia raised concerns about costs and repeated attempts to amend an investment agreement signed in 2009 for the project. Construction finally resumed last May following the release of $4.4 billion in project financing from lenders in December 2015. Jacques would not disclose planned spending for next year, but said a budget was up for approval by Oyu Tolgoi's board in late November or early December. "When we start spending and building the mine, the sooner the mine is up and running, the better it is for the returns of the government of Mongolia, for Rio Tinto," he said. Rio Tinto's majority-owned Turquoise Hill Resources has a 66 percent stake in the mine, with the Mongolian government holding the rest. October 7 (Bloomberg) Rio Tinto Group said Mongolia won't receive any dividend from the giant Oyu Tolgoi mine for 10 years as the world's second-biggest mining company prioritizes completing a $5.3 billion underground expansion. Oyu Tolgoi, which at its peak will be one of the top five copper mines in the world, is partly owned by the government and Turquoise Hill Resources Ltd., which is majority controlled by Rio. In the past, Rio has said the project, the biggest in the country's mining history, could account for about one-third of Mongolia's gross domestic product. "We shouldn't forget that Oyu Tolgoi is a long-term project," Jean-Sebastien Jacques, Rio's chief executive officer, said in an interview with Bloomberg Television Mongolia in Ulaanbaatar on Thursday. "It will take us five years to build the infrastructure and seven to nine years to ramp it up." "Until we get to a steady state, which is clearly 10 years down the road, we will not pay a dividend to anybody," he said. Rio reported net earnings of $53 million from Oyu Tolgoi in the first half of this year. Mongolia owes Turquoise Hill about $1 billion, Jacques said. Rio and Mongolia have been embroiled in various disputes since the miner took control of the project in 2010. When Jacques was previously head of the copper unit, he was able to diffuse much of the tension after inviting former Prime Minister Chimediin Saikhanbileg to his west London home. The gesture helped pave the way for a crucial $4.4 billion financing accord last year to fund the underground expansion. Rio's board has been in the country this week visiting the mine located about 340 miles (547 kilometers) south of Ulaanbaatar and 50 miles north of the border with China. Jacques said he had met with new Prime Minister Erdenebat Jargaltulga in the city earlier this week. "We had a very open conversation on where we are in relation to our joint project," he said. Construction of the underground expansion is "well underway" and about 1,600 people are working on the project, he added. Staffing is expected to reach 2,400 by year-end. Frustrated voters swept the Democratic Party from power in June, giving the Mongolian People's Party an overwhelming mandate to address the deterioration of the economy. This month, the country requested assistance from the International Monetary Fund to help it deal with an economic crisis stemming from a downturn in mining since 2011. Following the change of power, the government recently ousted three board members at the state-owned mining company that helped steer Oyu Tolgoi out of the long-standing dispute between Rio and the government. Last December, Rio said it paid a total of $1.3 billion in taxes, fees and other payments to the government of Mongolia. In 2015, taxes to the country were $278 million. Rio has been shipping concentrates by road to customers, mostly in China, since 2013. The mine is expected to be in operation for more than 75 years. Turquoise Hill Resources Ltd. owns 66 percent of the Oyu Tolgoi deposit. Mongolia's state-owned Erdenes Oyu Tolgoi LLC holds the share of the mine not owned by Turquoise Hill. Rio owns 51 percent of Turquoise Hill. Vancouver, British Columbia, October 6 (FSCwire) - Prophecy Development Corp. ("Prophecy" or the "Company") (TSX:PCY, OTC:PRPCD,Frankfurt:1P2) invites you to attend a special webcast scheduled to take place Monday, October 10 at 11:00am (PDT), 2:00pm (EDT) and 8:00pm (CEST). 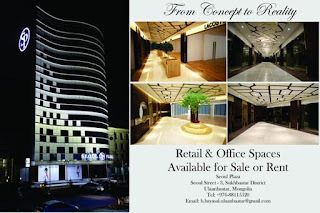 The Company also announces that John Lee, of Suite 1301, 12 Harcourt Road, Central, Hong Kong, Executive Chairman of the Company, acquired 1,000 shares of Prophecy (the "Acquisition") through trading in the secondary market (i.e. the Toronto Stock Exchange) on October 6, 2016. Prior to the Acquisition, Mr. Lee beneficially owned 1,069,953 shares, representing approximately 22.47% of the issued and outstanding shares of the Company. 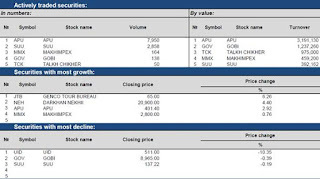 As a result of the Acquisition, Mr. Lee now beneficially owns and exercises control over an aggregate of 1,070,953 shares representing an interest of approximately 22.50% of the Company's currently issued and outstanding shares, and 34.34% of the Company's shares on a fully diluted basis assuming exercise of all of the Company's outstanding share purchase warrants. October 6 (MSE) Xavier Rolet, CEO of London Stock Exchange Group /LSEG/ sent the congratulations letter to Altai.Kh, CEO of MSE regarding to reappointment as Chief Executive Officer of the Mongolian Stock Exchange. In the letter, Xavier Rolet specially noted that Mongolian market adopted significant changes including the successful implementation of the Millennium IT platform and alignment to international standards under Altai.Kh's leadership during the years between 2011 and 2013. And, he will look forward to working with him and his team again. Note: In 2011, Mongolian Stock Exchange and London Stock Exchange Group signed the "Master Service Agreement" for 3 years, and in 2014 they extended for 3 more years. Under the framework of this agreement, MSE and LSEG are cooperating to introduce an integrated securities trading system, a proper legal environment and bringing the infrastructure, technology and human resources' capability to the international standards. Historic highs: USD=₮2,290.03 (2016.10.03). EUR=₮2,571.70 (2016.10.03), JPY=₮22.68 (2016.08.18), GBP=₮3,183.26 (2014.08.13), RUB=₮54.32 (2014.06.27), CNY=₮343.25 (2016.10.03), KRW=₮2.08 (2016.09.29), SGD=₮1,689.56 (2016.08.18), CAD=₮1,769.07 (2016.08.19), AUD=₮1,765.65 (2014.08.14), HKD=₮295.28 (2016.10.03), CHF=₮2,369.87 (2016.08.19). Reds are rates that set a new record low at the time. 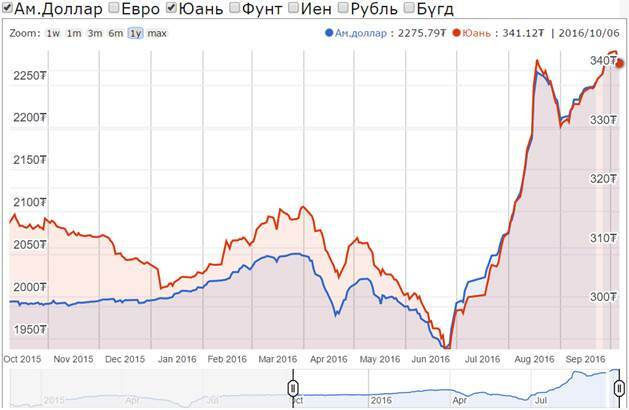 October 6 (Bank of Mongolia) Spot trade: Commercial banks bid MNT 2270.00 for USD0.2 million, asked MNT 2279.00-2281.50 for USD7.8 million and MNT 338.00-339.00 for CNY2.0 million respectively. The BoM bought USD7.8 million with closing rate of MNT 2281.50. Swap and forward trade: The BoM received bid offers of USD9.0 million of MNT swap agreements from commercial banks and the BoM did not accept any bid offers. Ulaanbaatar, October 6 (MONTSAME) On October 4, the World Bank made public the Stable Growth Outlook for East Asia and Pacific in 2016-2018. Among the smaller economies, the growth outlook has deteriorated markedly in some commodity exporters, the report says. In Mongolia, the economy is projected to grow only 0.1 percent, down from 2.3 percent in 2015, on weakening mineral exports and efforts to control debt. Papua New Guinea will see its economic growth at 2.4 percent in 2016, down from 6.8 percent in 2015, because of declining prices and output for copper and liquefied natural gas. By contrast, growth will remain buoyant in Cambodia, Lao PDR and Myanmar. "Despite the favorable prospects, the region's growth is subject to significant risks. A sharp global financial tightening, a further slowdown in world growth or a faster-than-anticipated slowdown in China would test East Asia's resilience," said Sudhir Shetty, Chief Economist of the World Bank's East Asia and Pacific Region. "These uncertainties make it critical for policymakers to reduce financial and fiscal imbalances that have built up in recent years." Immediate priorities include advancing reforms in its corporate sector and bringing credit growth under control in China; reducing the buildup of domestic and external financial risks in the other large economies; maintaining fiscal buffers and broadening revenue sources across the region, particularly for commodity producers; and addressing risks to fiscal sustainability in Mongolia and Timor-Leste, WB reports. October 6 (news.mn) J.Erdenebat, the Prime Minister of Mongolia has forecast that economic growth in 2016 will be 3%. This is far more optimistic than the recent Asian Development Bank's figure of 0.3% and the World Bank's 0.1%, which we reported yesterday. 'According to warnings by international analysts, there are serious problems because of Mongolian beyond budget expenditure and an increase in government spending. The Government, therefore, plans to cut expenses beyond budget and to implement mayor mining projects such as Oyutolgoi, Tavantolgoi and the power station Tavantolgoi. During 2017, the Government will not create additional taxation or increase the tax rate. Also, some state owned companies will be privatised,' said PM J.Erdenebat. On 6th of October, the State Great Khural (parliament) discussed the 2017 Budget Amendment and Social Insurance Funding presented by the Cabinet. October 6 (news.mn) President Ts.Elbegdorj held a meeting with journalists earlier today (6th of October). Mr Elbegdorj, now in his final year as Mongolian President, answered questions about the purchase of 49% of the shares in the Erdenet Mining Corporation and other topics. The meeting organised by the Federal Union of Mongolian Journalists is a regular event, taking place twice a year. · First of all, President Ts.Elbegdorj said he didn't really have any personal interests in the Erdenet Mining Corporation, although he wished the company every success.. Rostec and Mongolian Copper Corporation LLC on June 24, 2016 signed an agreement on the sale of 49% of shares belonging to Rostec in two Russian-Mongolian joint-venture mining companies (Erdenet Mining Corporation and Mongolrostsvetmet) to Mongolian Copper Corporation. · We must appreciate our neighbour, Russia. The relationship between Mongolia and Russia is extraordinary. Russians shed their blood for us and built many buildings in our towns. 60% of Mongolians answered 'we must be closest to Russia'. Over the past two years, I have met Russian President and PM more than ten times. There is a list of more than 36 projects, that Mongolia, Russia and China are working on together. · My son, E.Erdene is running for local election. It was his choice. If he aims for the good of Mongolians, then I will support him. · Job cuts are taking place everywhere in Mongolia. These are across the board from cleaners and janitors to party people. This has resulted in the diminished public service capacity. People with 20 or 30 years' work experience are precious. · You asked me, What will you do after the presidency? I'm worrying more about Mongolia's future than what I will do tomorrow. Ulaanbaatar, October 6 (MONTSAME) At the regular Wednesday meeting, the cabinet reviewed conclusions of the working group responsible for investigating the purchase of 49 percent shares of formerly joint ventures the Erdenet Mining Corporation and the MongolRosTsvetmet respectively. Afterwards, the associated ministers were tasked to adjust regulations and rules in a way to make sure the Government is guaranteed to exercise its 51 percent ownership authority in the management of the EMC and the MongolRosTsvetmet. The cabinet annulled the ordinances regarding the EMC, issued between June 2 and 29 of 2016 by the then-Minister of Finance. Also, the ministers resolved to publicize the notes and records from the cabinet meeting of June 13, when the decisions were made on purchase of EMC's 49 percent. As per the decisions made on October 5, the Bank of Mongolia is to present a report of investigation in the financial resource, allocated from the commercial bank for procuring the shares. Ulaanbaatar, October 6 (MONTSAME) On Wednesday, the cabinet appointed B.Bayarsaikhan the State Secretary of the Ministry of Education, Culture, Science and Sport, D.Ochirbat the State Secretary of the Ministry of Health and Z.Mendsaikhan the State Secretary of the Ministry of Energy. The majority of cabinet members also backed in principle the draft amendments, initiated by Kh.Bolorchuluun MP, to the laws on Food and Food Security. The cabinet allowed Minister of Foreign Affairs Ts.Munkh-Orgil to exchange notes with the Government of Japan on visa waiver regime for diplomatic passport holders. The resolution on establishing "Mongolia-Kuwait Environmental Protection Center" self-funded venture was approved by the cabinet. The Center will work in fields of conserving rare wildlife and flora species and prevention water, soil and air pollution. October 6 (Mongolian Economy) Entrepreneurs met with the Prime Minister and presented a project on establishing a Buyant-Ukhaa tourism zone and turning Ulaanbaatar into a regional development centre after the commissioning of the Khushig Valley International Airport. In addition to the aforementioned project, representatives of the Ulaanbaatar Chamber of Commerce and the CEO Club discussed solutions to overcome the economic difficulties. The entrepreneurs noted: "The state cannot single handedly save the country from the economic downturn as it needs to cooperate by leaning on the people and supporting the private sector." During the meeting, CEO of Ard Financial Group, Ch. Gankhuyag said: "The number of ger district residents has not decreased as the mortgage loan programme only supported the operations of construction companies due to policy mistakes and inflated housing prices. So if the completed 35,000 residential apartments are sold by using a guaranteed loan certificate of the Ulaanbaatar administration, sales will improve and cash flow will increase in the economy." Meanwhile, J.Odjargal, Chairman of the Board of Directors of MCS Group noted: "Coal export is an important gateway that will support the economy, increase cash flow and ensure income for many enterprises." "A glimmer of hope has started to be seen in the coal industry," he added. "We do not know how bright it will get or even how long it will last. Mongolia's coal industry needs to unite domestically in order to capitalise on this opportunity. By doing so, Mongolia's coal will compete globally and get on foreign markets. That is how it will benefit the economy. However, we are just competing internally. 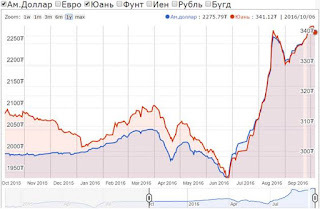 A standard is required for Mongolia's coal export in order to produce coking coal meeting the requirements of the world's major steel producers. Most importantly, the state needs to demand export of enriched coals and sanction the export of raw coal. If this can be done, we can compete with a raw material called 'Mongolian coal' on foreign markets and absorb value added products domestically. Otherwise, we will not succeed by exporting the raw coal and selling the enriched coal at the price of raw coal." Kh.Oyungerel, Chairwoman of the Board of Directors of Petrovis LLC, noted the importance of developing the Mongolian Stock Exchange, and stated: "MMC, which operates in Ukhaa Khudag, is the first Mongolian company that got onto an international stock exchange, the Hong Kong Stock Exchange. 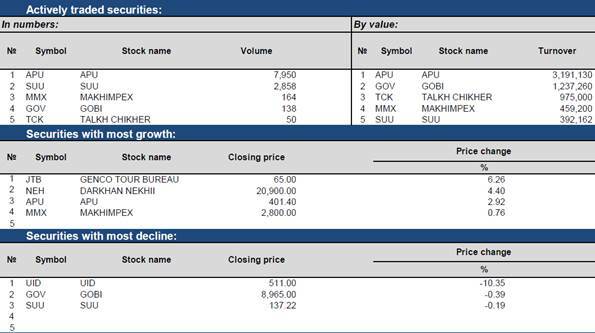 Since then, many people have bought shares in this company. 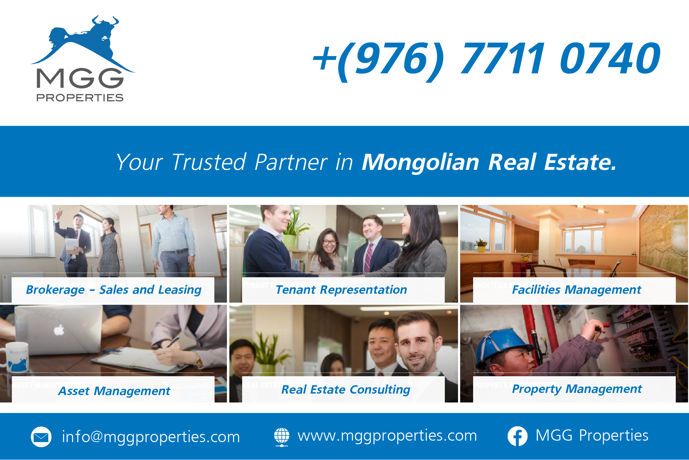 Now, the state needs to provide an opportunity to sell MMC shares on the MSE, so that Mongolians can buy them." In addition, U.Ganzorig, CEO of Golomt Bank warned: "Today, some people are saying that a foreign bank needs to come in in order to reduce the high loan interest rates of domestic banks. Yet, it is possible to lower rates to single digits. To do this, multifaceted works need to be done in the financial sector, and bringing in a foreign bank is just one of them. We will not reach the desired results and the economy might take a loss if just a single measure is taken instead of approaching the problem it comprehensively." The entrepreneurs agreed to regularly hold specialised meetings on specific issues and projects. Furthermore, they discussed establishing a permanent structure involving the private sector under the Prime Minister. Finally, the issue of establishing the Buyant-Ukhaa tourist zone was decided to be re-discussed, waiting for relevant studies on and coordination with government policies and research. 6 October, 2016 (Conventus Law) Baker & McKenzie.Wong & Leow, the Singapore member firm of Baker & McKenzie International, has advised on only the second wind farm to be successfully developed by the private sector in Mongolia. This follows the Firm's advice on the first successfully developed Wind Farm in 2013. The Firm advised the sponsors, Newcom and Softbank Group, on the development and financing for the construction of the 50MW Tstesii Wind Farm in southern Mongolia. The project will help to supply Mongolia's power demand with clean, eco-efficient electricity by harnessing the country's inexhaustible wind resources, contributing to the trend of increasing adoption of renewable energy in Mongolia. Martin David, Principal and Head of the Singapore Project Practice, led the team, supported by Principal Ang Kim Hock and Local Principal Erik Bégin. Commenting on the project, Martin David said: "We are pleased to have advised Newcom and Softbank Group on this successful development and financing. We have now advised as lead counsel on four power projects in Mongolia - more than half of the power projects being developed in the country. Our continued work in this important market demonstrates our strength in bringing together both power sector and emerging market knowledge and experience. Our Singapore team regularly advises on projects around the Asia Pacific region allowing us a solid understanding of the challenges and opportunities to help our clients complete these complex projects in new and emerging markets." Ulaanbaatar, October 6 (MONTSAME) The excise tax rates have been reduced to MNT 260,000 per ton of petrol and MNT 280,000 per ton of diesel fuel entering the territory through the Sukhbaatar, Zamyn-Uud and Altanbulag border checkpoints, and MNT 130,000 per ton of petrol and MNT 150,000 per ton of diesel fuel entering through the Ereentsav border checkpoint. The decision was approved on Wednesday by the cabinet. Minister of Mining and Heavy Industry Ts.Dashdorj was assigned to take necessary measures to ensure stability in retail prices of petrol and diesel. The excise tax rates were fixed in consideration of the currency rate fluctuation and other factors, at MNT 400,000 per ton of petrol and MNT 520,000 per ton of diesel fuel. Mongolia's First Satellite to Be Named "Mazaalai"
October 6 (news.mn) Mongolia is expected to launch its first satellite in the spring of 2017, said the members of the 'Birds Project' team during their meeting with Deputy PM U.Khurelsukh on Wednesday (5th of October). The satellite is named 'Mazaalai' after the endangered Mongolian Gobi bear. Scientists from Ghana, Japan, Bangladesh and Nigeria are working with Mongolian scholars to launch satellite. The team members also shared their plans to launch a second satellite in 2019. Due to the devaluation of the national currency in recent months, the project requires an additional MNT 100 million. The Government of Mongolia have decided to offset the cost from the 2017 budget. October 2016 (Frontier Fundz) Well normally on this show we scour the ends of the earth for off-the-beaten track stock markets and bonds to buy. And this show is no different – except we're focusing on real estate. Where's the best place in the world to buy a property? That's what Gavin has been asking one investor particularly suited to answer the question. Lee Cashell is the Founder and CEO of Asia Pacific Investment Partners. 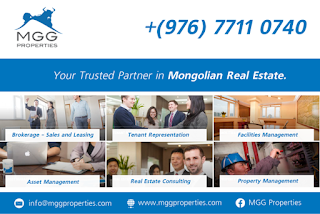 The biggest property firm in Mongolia, and the company is now busy expanding into other places that can only be described as the true frontier of the property market. Lee joined Gavin in our studio earlier and here's what he had to say. Ulaanbaatar, October 6 (MONTSAME) A Project on Construction of 32 km highway connecting the capital city to the New Ulaanbaatar International Airport (NUBIA) is at the development stage. The highway is designed to be 32.5 meter wide with 6 rows. The road is projected to have four sections. For the first section of 22.5 km, a Chinese railroad construction company has been selected as the project executor which established a Lump Sum Turnkey (LSTK) contract with the government in September of 2015, said G.Anand, official from the Ministry of Road and Transport Development. In accordance with the contract, the road is to be commissioned within 34 months, by July 18 of 2018. The project is now providing jobs for more than 400 workers, supervised and monitored by 12 Mongolian and 6 Chinese engineers, he added. October 6 (Bank of Mongolia) On October 6, 2016 the Ambassador Extraordinary and Plenipotentiary of the Republic of Belarus to Mongolia, Stanislav Chepurnoy, met with the Chairman of the State Great Khural of Mongolia, Miyegombo Enkhbold. During the meeting, the sides discussed directions of bilateral cooperation, exchange of visits, development of parliamentary contacts, as well as noted the existence of good perspectives for improvement of Belarus-Mongolian relations in general, and expressed hope for further expansion of collaboration. Ulaanbaatar, October 6 (MONTSAME) On the occasion of the 95th jubilee of diplomatic ties between Mongolia and Russia, the Russian State Museum of Oriental Art hosted a photographic exhibition named "UB City in 1957–1963: Testimony of Lumir Iisl" between September 7-29. The exhibition has opened under auspices of the diplomatic missions of Mongolia and the Czech Republic to Russia. The closing ceremony was attended by the Mongolian Ambassador, Ms B.Delgermaa and the Director of the Czech Cultural Center in Moscow, Mr Marek Gavlicek and the Director General of the State Museum of Oriental Art, Mr Alexander Sedov. Ambassador B.Delgermaa extended a gratitude to the organizers for showing the public exclusive photos featuring social life and beautiful landscape of Mongolia, taken by a prominent architect Lumir Iisl between 1957 and 1963, and informed the gathered the Embassy is gifting to the State Museum the Ger (traditional Mongolian dwelling), which was built in the museum yard for exhibition. The Ambassador highlighted that among many dwellings of the nomadic ethnicities, the traditional craftsmanship and customs associated to the Mongol Ger were inscribed in the list of intangible cultural heritages by UNESCO in 2013. It had been our long-time wish to build a Mongol Ger in our museum's yard for the audience, said Mr Sedov and thanked the Ambassador for making it come true on behalf of whole museum staff. Ulaanbaatar, October 6 (MONTSAME) The Cabinet made a decision on Wednesday to rename the State Education Fund as the Educational Loan Fund, and charged Minister of Finance B.Choijilsuren to make necessary changes in the vacancies and budget. The students will have to repay the loan within 10 years following their graduation from tertiary education institute. The student loan regulations are taking effect this month. October 5 (The Korea Times) Female leaders of various fields said having a network among them helps create fresh ideas and ultimately improves the world. "Each of us has been participating in a number of associations or networks like this, but joining this kind of women's networking event can help us to connect more easily and create a special synergy between us," Trang Thuy Tran, human resources director at Deloitte Vietnam Company in Hanoi, told The Korea Times. About 30 female leaders from Korea, the United States, Vietnam, Mongolia and other Asia-Pacific countries gathered to attend a network event hosted by the Seoul Foundation of Women and Family, a foundation under the Seoul Metropolitan Government established for female empowerment. The event, called the Power Women Network for Change in Asia Pacific, was held Sept. 29 at Seoul Innovation Park, a social innovation platform located in Eunpyeong-gu, northwestern Seoul. The event was sponsored by the U.S. Embassy, local newspaper Women News and educational board game development company Happy Baobab. Uyanga Batzogs, CEO of Proliance LLC, a medical equipment company headquartered in Ulaanbaatar, Mongolia, connected with women who have senior care expertise, through the networking event. "Today I met some people from the Asia Foundation. I have heard of them but I didn't realize that they are doing a project in Mongolia," Batzogs said. "Using such a good network, I hope I can help women entrepreneurs to do a better job in Mongolia." October 5 (The Daily Mail) Cadbury's new Milk Tray Man is making his television debut in an ad that sees him delivering chocolates to a Mongolian yurt - 50 years after the original escapade. The £3million campaign, the latest in the saga that began in 1968, is set in the Altai Mountains over the Mongolian steppe and features flying sequences, a Mongolian tribe and stampeding yak. October 6 (MONTSAME) Gallimimus which was a bird-like dinosaur with a small head, toothless beak, large eyes, a long neck, short arms and long leg thus running on its hind long legs was found in Mongolia. The rare and mystic dinosaur which inhabited 65 millions years ago is now preserved in the Archaeological Institute of the Academy of Sciences of Mongolia. Fossils of two species of the Gallimimus, one of which is 8 meter in size and another one is one meter, have been found as a great discovery in the world paleontology. By the way, out of some 700 species recorded, 60 are found in the territory of Mongolia, and the fastest dinosaur – Gallimimus has been discovered only in Mongolia, nowhere else. October 6 (news.mn) The 'Chinggis Khaan-Ulaanbaatar Cup', an international boxing competition, will take place at the Central Sports Complex from 18-20th of October. According to Mongolian Boxing Federation, male boxers from Russia, Uzbekistan, Kazakhstan, China, Germany and Nigeria have already sent their applications,. The 'Chinggis Khaan-Ulaanbaatar Cup' took place 26 times in Mongolia before 2000. After a break of over a decade and a half, the event is being revived. The competition is set to be a new event on the Asian boxing map; it is a part of the world where the Mongolian Boxing Federation is highly esteemed. Mongolia won two medals at the 2012 London Olympics and a few weeks ago the current Asian Games winner and ASBC Asian Confederation Champion Dorjnyambuu Otgondalai got a podium place for the strong Central Asian country at the Rio Olympics. Mongolia was the fourth best Asian nation in the qualifying events for the Rio 2016 Olympic Games. Mongolia only has 1,000 registered boxers in the country - but the quality is amazing! Dorjnyambuu Otgondalai received bronze in Rio and a further five athletes represented the country in this year's Olympics from Light Flyweight (49 kg) up to the Welterweight class (69 kg). The average age of Mongolia's six Rio 2016 Olympians was 24.5 years which means the new team has already gained Olympic experience at a young age. This bodes well for Tokyo! Mongolians also proved top performers in the latest ASBC Asian Confederation Boxing Championships in Bangkok, Thailand. With their great talents we can expect outstanding performances at the upcoming Chinggis Khaan Cup where boxers born between 1976 and 1998 will be eligible to compete. Among the favourites in the 'Chinggis Khaan Cup' is Mongolia's super talented Erdenebat Tsendbaatar; he will be turning 20 later this year but has already reached world class level and is three-time National Elite Champion. He was near to winning a medal at the Rio 2016 Olympic Games, and still a teenager reached the quarter-finals in Rio de Janeiro. Mongolia's Summer Universiade Games winner Enkh-Amar Kharkhuu returned to the national team this January after a suspension; he too gained good experience in the Olympic qualifying events and also at the Rio 2016 Olympic Games. This super-talented duo could be the host nation's sensations in the upcoming Chinggis Khaan Cup in Ulaanbaatar. October 6 (news.mn) The 'World Masters Weightlifting Championship' is taking place in Heinsheim, Germany from 1st – 8th October. Mongolian powerwoman Ts.Oyunchimeg won silver in the women's +75 kg category. She lifted a total of 133 kg (55+75). Masters from 47 countries have competed in this category: Maria Takacs from Hungary took first place with 170kg as well as Sandra Smith from UK who won bronze with 105 kg. Ts.Oyunchimeg, 54, is twice champion of the World Masters Weightlifting Championship, World Cup and Grand Prix as well as world record holder. October 6 (gogo.mn) A choir group composed of 45 artists from the State Theatre of Opera and Ballet has scheduled to perform opera "Carmen" by J.Bize at the Daejeon Opera Theatre of Korea on Oct 6-9. Today the first performance will be staged at 7:30 PM. October 6 (gogo.mn) The evening gown competition of the "Face of Beauty International 2016" international beauty pageant was held yesterday (Oct 5) at ASEM Villa and awarded the Top 15 out of 60 contestants. Judges were anchorwoman P.Anujin, Ukrainian Human Barbie Valeria Valeryevna Lukyanova and the President of the Face of Beauty International Mila Manuel. Most beauties have appeared in pink dresses due to pink was chosen as main color of that night. The final contest will take place on Oct 8th at Corporate Hotel and Convention Center.